The first new Citadis X05 tram for Sydney has been delivered by Alstom. The French manufacturer is supplying 60 Citadis light rail vehicles (LRVs) to the city for its CBD and South East Light Rail network. The LRVs are designed to operate as a 67-metre coupled set. Alstom said a coupled set will have the equivalent capacity as nine buses (450 passengers). The trams have Alstom’s catenary-free APS technology, which will allow vehicles to operate through sections of the city without an overhead power supply. The system will also recover engergy through Alstom’s reversible substation technology. 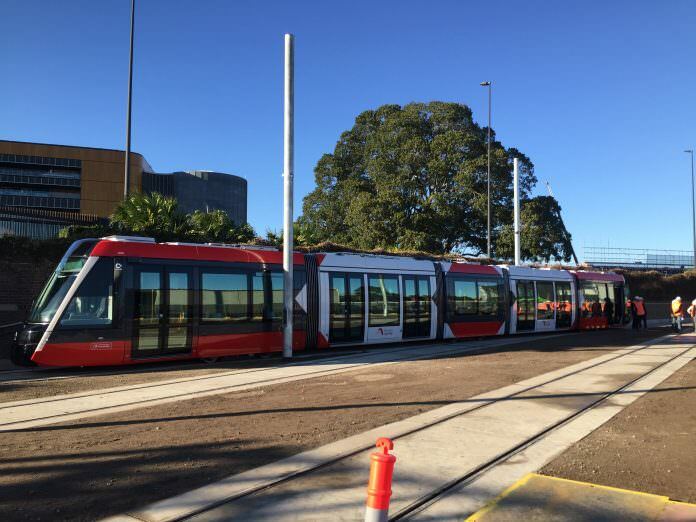 Mark Coxon, managing director for Alstom in Australia and New Zealand, said: “We are extremely proud to be able to deliver our latest and most innovative light rail technology to Sydney.